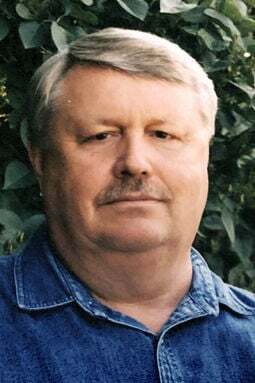 Wilbur "Bill" R. Kellogg Jr.
Wilbur R. “Bill” Kellogg Jr., age 74, of Fremont died Saturday, Feb. 2, 2019, at Methodist Fremont Health. Bill was born Nov. 25, 1944, in Laredo, Texas to Wilbur and Marjorie (Copple) Kellogg Sr. He was raised for a short time in Fullerton, Nebraska, before moving to Fremont at the age of 13. Bill graduated from Fremont High School, Midland Lutheran College (now Midland University) with his bachelor's degree and the University of Nebraska Lincoln with his master's degree. He was married to Janet McGowan on May 25, 1968. Bill spent his whole career teaching in the Arlington Public Schools, teaching from 1968 until he retired in 1999. After retirement Bill worked odd jobs and substitute taught for several years. He looked forward to his weekly “board” meetings with his friends. He was a member of the First United Methodist Church in Fremont and drove the church bus for many years. Survivors: daughter, Jennifer Olson of Omaha and her sons, Braden and Brock; son, Robert (Jessica) Kellogg of Omaha and their daughter, Maya; significant other, Colette Garton of Fremont; brother, Robert (Mary) Kellogg of Aurora, Colorado; brother-in-law, Phillip McGowan of Eldorado, Illinois. The memorial service will be 3 p.m. Saturday, Feb. 9, at the First United Methodist Church in Fremont. Memorials are suggested to the Kellogg Scholarship Fund at First Methodist Church. the life of: Wilbur "Bill" R. Kellogg Jr.